﻿ Tongyeong Bay Condo Hotel, Tongyeong-si | FROM $39 - SAVE ON AGODA! Have a question for Tongyeong Bay Condo Hotel? 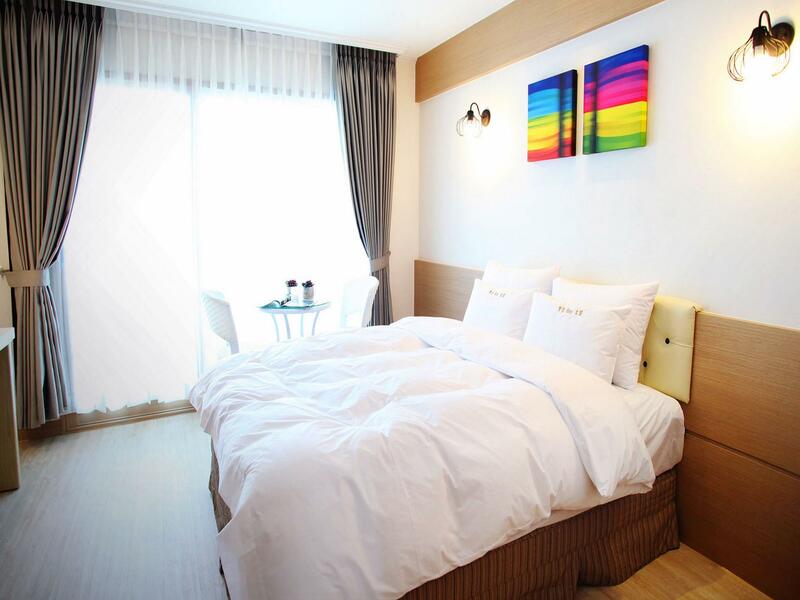 Situated in Bongpyeong-dong, Tongyeong Bay Condo Hotel is the perfect place to experience Tongyeong-si and its surroundings. From here, guests can enjoy easy access to all that the lively city has to offer. With its convenient location, the hotel offers easy access to the city's must-see destinations. 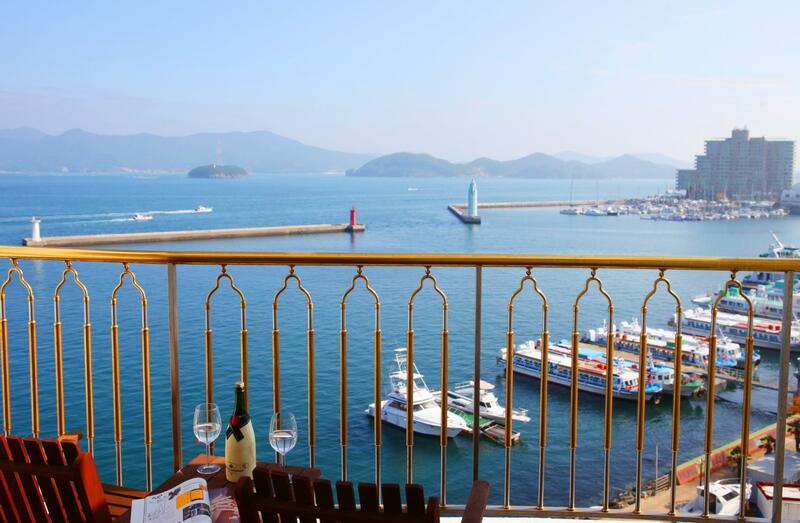 The facilities and services provided by Tongyeong Bay Condo Hotel ensure a pleasant stay for guests. While lodging at this wonderful property, guests can enjoy free Wi-Fi in all rooms, convenience store, laundromat, 24-hour front desk, Wi-Fi in public areas. Step into one of 45 inviting rooms and escape the stresses of the day with a wide range of amenities such as television LCD/plasma screen, towels, internet access – wireless (complimentary), whirlpool bathtub, non smoking rooms which can be found in some rooms. Besides, the hotel's host of recreational offerings ensures you have plenty to do during your stay. 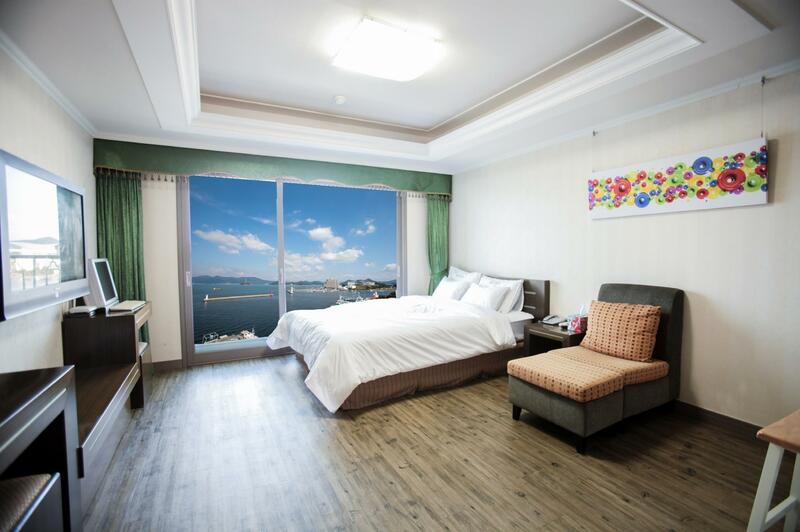 Whatever your reason for visiting Tongyeong-si, the Tongyeong Bay Condo Hotel is the perfect venue for an exhilarating and exciting break away. The staff is not very helpful. The property is out-dated, and needs complete refurbishing. They did not provide with even a bath towel. When I asked for one , their answer is “We don’t have one.” Awful, and very disappointing. The hotel was good. The room was equipped with kitchen and utensils. But tge room lacks some toiletries. The room is big and the balcony is facing the sea. Clean and neat, value for money. There is a bus stop within 5 mins walk and Bus 100 / Bus 101 pretty much reach the places that I wanted to go. 싱글 매트리스가 퀸 매트리스보다 너무 안좋긴 했지만.... 침대방인데요ㅋㅋ 바닥에 보일러가 들어와서 구지 히터 틀지 않아도 돼 더욱 좋았어요 싼값이 기대없이 간 숙소였으나 화장실도 마음에 들었어요 그러나 샤워타올은 왜?? 있는지 의문이었어요 샤워타올도 공용으로 구비 돼있는건지 누가봐도 쓴 흔적이 넘치는 타올이었어서 당황했네요ㅋㅋㅋ 통영에 간다면 다시 갈 숙소였습니다. 통영 자체가 깨끗한 도시였습니다. 통영베이 외관도 깨끗하고 원룸형태의숙소도 넓고 따뜻했으며, 차로 다니기에 루지나 케이블도 가깝게 위치해 있으며, 콘도 사람들도 친절했습니다. 2박을 하는동안 정수기 들어오는 입구에 설치 되어 있어 물도 충분히 마실수 있으며, 콘도안에서 음식을 해먹을수 있는 편안함과 전자렌지까지 구비되어 있어 잘 사용하고 돌아왔습니다. 가족과 편안하게 머물고 왔습니다. 깨끗했고, 방음도 잘 되있었어요! 깨끗하게 신경써 준 느낌이 났었어요. 주차장도 넓고 전망도 좋았어요. 통영국제음악회 시기였는데, 외국인들 많아서 해외 느낌나고 좋았어요. 해외에서도 고른 걸 보면 괜찮다고 소문나있는 것 같기두.ㅎㅎㅎ조식부실하다고 후기봤는데, 저희는 따로 얘기해서 빵주스 먹었어요(외국인들 많은 기간이라 가능했어요. 평소에도 부탁하면 해주는지는 모르겠어요) 추천합니다!